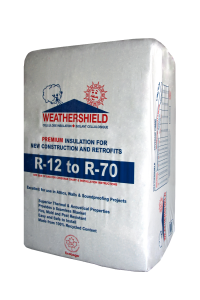 Weathershield™ is a loose cellulose-based fibre insulation suited to pneumatic blowing application in attics, walls, ceilings and floors of residential, commercial or industrial buildings or dwellings. As with our Climatizer Plus™ cellulose insulation, Weathershield™ is made from a minimum of 85% recycled paper products. Non-toxic additives are applied to the uniquely fiberized paper generating a building material with superior thermal and acoustic properties, as well as exceptional resistance to fire, moisture, mould and pests. Please visit our product page for more information about the benefits of this insulation as well as technical information and installation guidelines. Climatizer Insulation has been manufacturing Weathershield™ branded cellulose insulation for over 25 years and in the last years have made considerable improvements to its formulation and overall quality. We are now offering this exceptional insulation product direct to you from our warehouse doors. Produced in easy to handle 25lb bags, Weathershield™ is an excellent choice for your building project. Backed by UL Environment’s Ecologo certification and manufactured under an ISO 9001:2015 certified quality management system, Climatizer’s Weathershield™ is perfectly suited to Green, Net Zero, and Passive House construction. 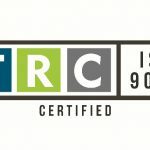 Its use in these projects contributes to the addition of LEED building points relating to Recycled Content, Regional Materials, Construction Waste Management, and Low-emitting Materials, making it truly a sustainable building product. Offering competitive pricing, our Sales department is here to answer your insulation questions, and to organize suitable pick-up, delivery and shipping arrangements based on your needs and requirements. Call us at 416-798-1235 or email at info@climatizer.ca (or use our online form) to find out how you can buy directly from us today!